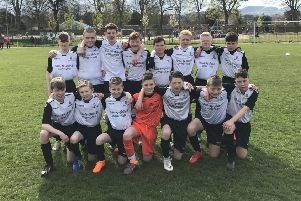 PRESTON ATHLETIC have unexpectedly found themselves preparing for a Lowland League Cup semi-final against East Kilbride tomorrow – and assistant coach Bob Baillie intends to grasp the opportunity with both hands. A 4-0 defeat to Spartans at Ainslie Park last weekend looked to have put an end to the Panners’ cup hopes and their season. But Spartans’ naming of goalkeeping coach Mark Cairns on the bench as a trialist was a breach of competition rules and, at a disciplinary meeting on Tuesday night, the decision was taken to eject them and reinstate their defeated East Lothian opponents. While Baillie would have preferred to have earned a semi-final place by beating Spartans, he was happy to take it under any circumstances. The interim boss revealed that both he and MacAuley would be interested in taking over from Kirk on a permanent basis, but is purely focused on Saturday’s second chance at cup progression for now. “ It [the Bristol job] was one that Willie couldn’t turn down and I think it came out of the blue. At Preston we’re sad to see him go as he was starting to build something here and we’ve been looking good. But as I said, it was one of those opportunities that he couldn’t turn down and I wish him all the best.